Davide Scanu serves me a massive bowl of sangria and lets me in on what he thinks of his home. I arrived via a 40-minute Ryanair flight from nearby Valencia that cost just 10 euro ($12 USD) — a price that made me think I was already hallucinating. Ibiza is the Spanish destination with a reputation for its electronic music scene, which draws world-class DJs who pound out beats and rhythms night after night at lucidity-stealing clubs in the summer and early fall. When you drive in from the airport you notice billboards promoting the turntable stars such as David Guetta, Tiesto, and Pete Tong who set up residence on the island during peak season. The billboard frenzy resembles Orlando and the theme-park joys its highways promote. In Ibiza, the revelry is for adults — some of whom are compelled to behave like adolescents, having embraced the destination’s other notable aspects tied inextricably to the party scene. Tales of hedonism and potent drugs have made Ibiza seem uber-naughty. It is why I was nervous — and a little excited — when I found myself sitting legs crossed while a woman dressed like a priestess blindfolded me in front of a makeshift altar at one of those clubs you really can’t find anywhere else. This one was the Zoo Project, a sprawling venue that morphed out of Ibiza’s former house of menagerie. Proprietors have maintained some elements of the club’s previous life, including cages and wooden fences and bars that resemble kiosks where kids would get ice cream — except at the Zoo Project you’re more likely to have the option to order strawberry-infused vodka than a cone. It was October and the last night of the club season, with only one party on the calendar. When in Ibiza, you have to go to a party, so my girlfriend and I took the opportunity, not knowing what to expect. For most of the night, we danced at the open-air facility enjoying the music and the outlandish costumes you can imagine attendees of a place called the Zoo Project might wear. 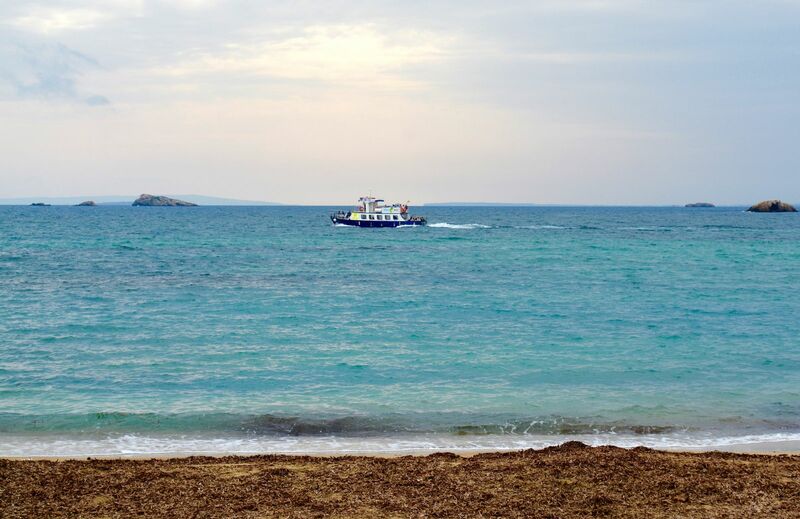 Then Ibiza showed its human side, diverging from any early impressions I had about it being a Vegas of the Mediterranean. A pair of shaman — one carrying a fiddle — arrived and they were followed by a coterie of Indigenous-looking men and women wearing headdresses and chanting songs that sounded tribal. The EDM tunes ended and a few people, including my girlfriend and me, were selected by the moment’s anointed priestesses to circle around the shamans. What followed was 90 minutes of spiritual healing and prayer, an obvious attempt to bring the experiences in the jungles of Peru to Spanish sand and soil — without the Ayahuasca. 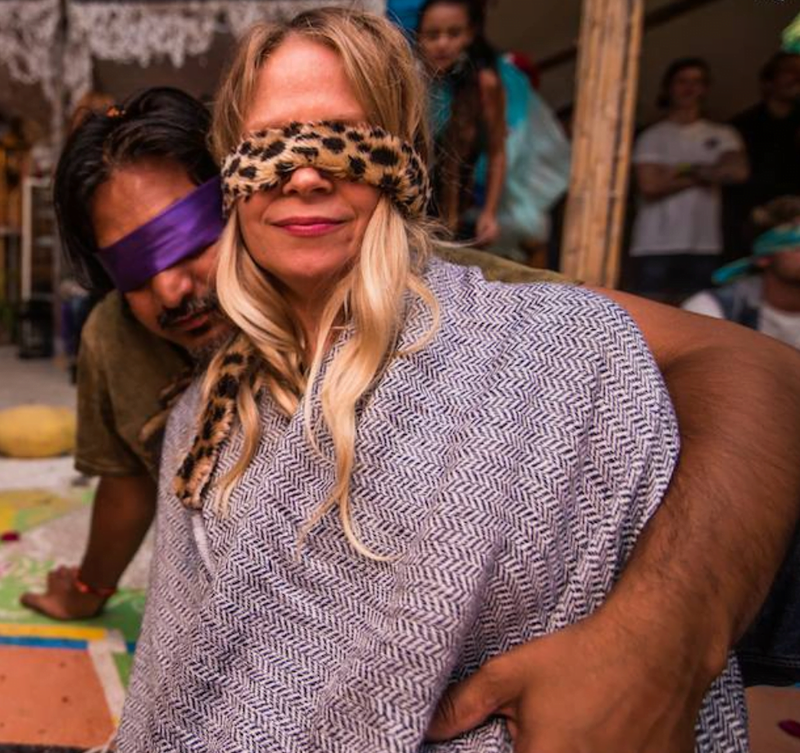 While blindfolded, my girlfriend and I were fed grapes and chocolate, and received head massages; her belly, which was four months’ pregnant with our son, was also blessed. 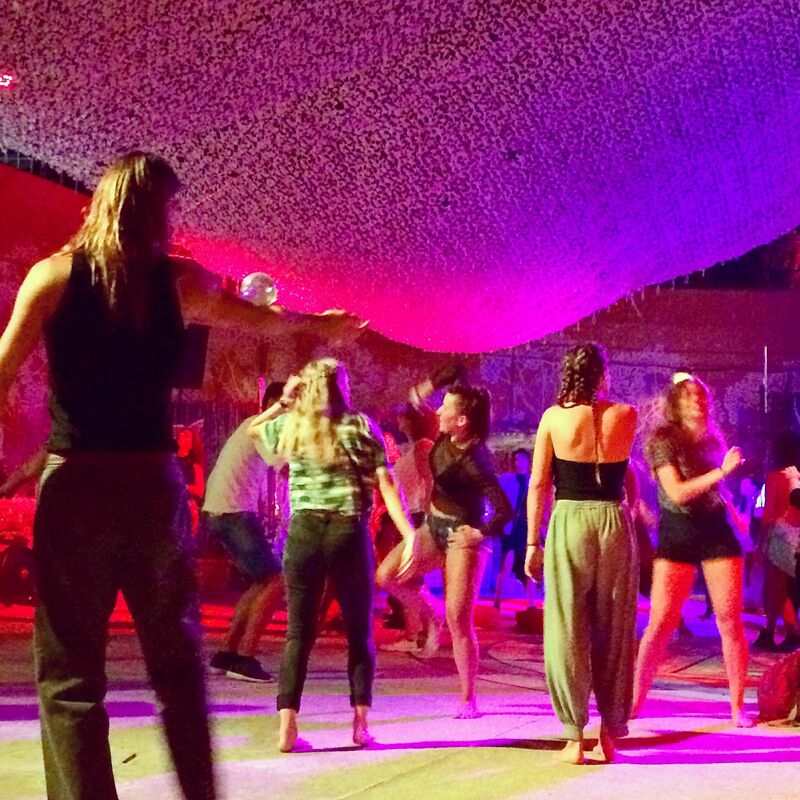 It was a sober (or sobering, depending on your level of inebriation) ceremony meant to ground not only the participants but Ibiza itself. In my three days as a visitor, Ibiza demonstrated it was far more than a destination for drunkenness and pleasure romps. The scenery is immaculate. Views from the beaches include stunningly blue skies and steady waters that tempt you to explore the gentle waves of this part of southern Europe. Historic fortifications allow you to imagine the island’s past, when it was a military outpost in a sea busy with both commerce and villainy. The island was settled in the 7th century BC by the Phoenicians and then became a Roman port and then a Muslim center and finally a Christian domain in 1232. Hundreds of thousands did, and many stayed, transforming the locale. Today in Ibiza Town, the mood is — not surprisingly — upbeat. EDM songs are played everywhere, including inside convenience stores and souvenir shops. Visitors are certain to run into several characters such as Scanu, the proprietor of Bar San Ciriaco who insists — while dancing the salsa — that the island chose him. 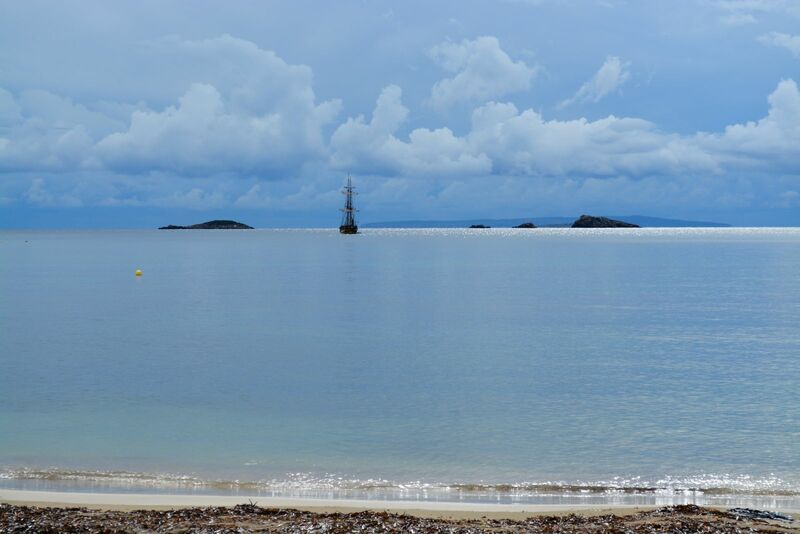 Normal or not, there are many reasons beyond the notorious ones why Ibiza might claim you too. Getting There: Flights from Valencia are the fastest way to reach Ibiza. A six-hour ferry ride is also an option. There are direct flights from other major centers, including Barcelona and Madrid. Prices for flights are far higher in peak season than the 10-euro trip I made. 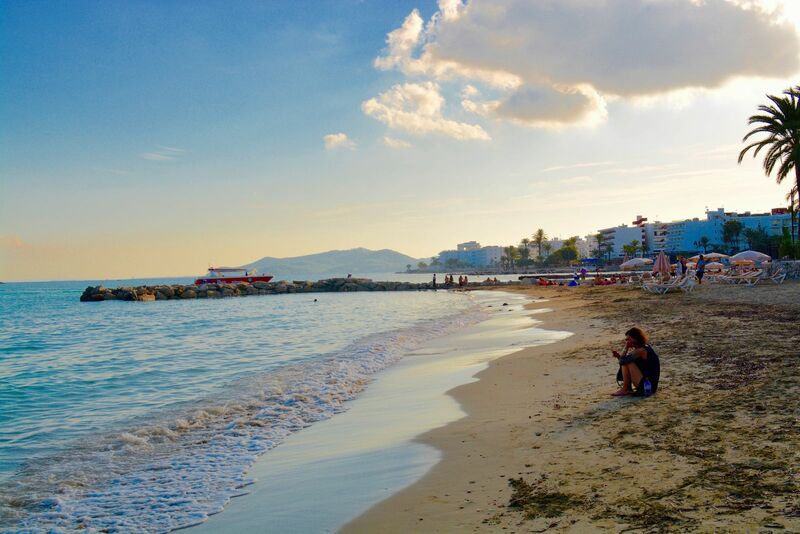 Travel Tips: As you should expect from a party destination, Ibiza is more expensive than most parts of southern Spain. Budget accordingly and also watch out for sellers peddling inferior products. In order to support the lifestyle of Ibiza it was clear to me that some residents have come to view visitors as targets for schemes. Agree on a price before you get in a taxi or make sure the driver has the meter running so you don’t get hit by a surprise fare at the end of your ride. 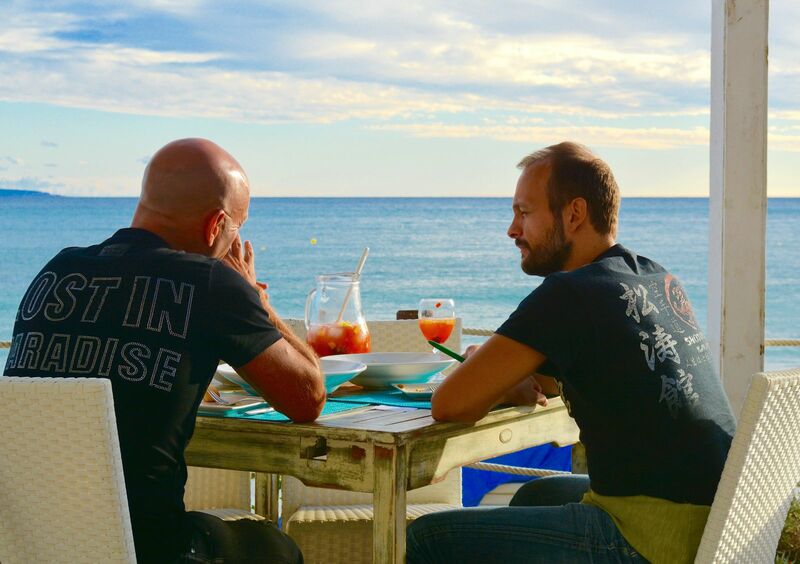 Where to Eat: At Las Salinas Beach, I savored a grilled sea bream (25 euro, $30 USD) at Guarana Beach Club, which overlooks the waves in as sublime a setting as you can imagine for a party. But in Ibiza Town, I was mostly served overpriced, unsatisfying food at the restaurants I visited. No establishment I encountered there is worth mentioning.